Your Exploration starts from the Forum, then under the Gothic Church of San Lorenzo Maggiore to view the ruins of the Roman streets and the Macellum. Then on to San Gregorio Armeno, where the world famous Neapolitan Crib art are made, and Cappella Sansevero’s sculpture of the Veiled Christ. Also, an underground city with ancient aqueducts, caves, catacombs, myths, legends and a modern subway system whose stations are covered with art. 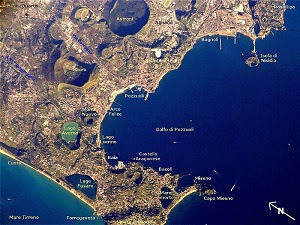 North of Naples the bays of Miseno, Baia and Pozzuoli were the home port of the Roman Navy, Baia’s Imperial Palace featured baths with waters of volcanic origin and the Phlegraean Fields Archeological Musem includes finds from Baia’s submerged city. In Pozzuoli, the Temple of Serapide, is famous for the cyclical sinking of its grounds and the Flavian Amphitheater was the third largest arena of the empire. 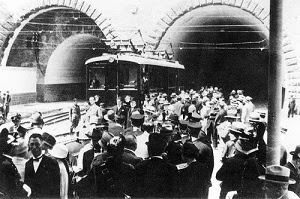 The Ferrovia Cumana was the first metro rail transport system in Italy. 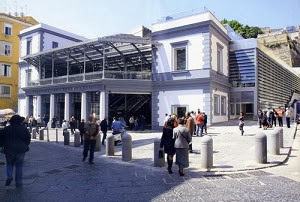 Established in 1883, it was designed to connect the center of Naples with its northern suburbs and beach resorts, including Pozzuoli, Cuma and Torregaveta, covering 20 Km. The commuter rail service became all electric in 1927 and is now part of the overall metropolitan Naples subway and commuter rail network as part of Lines 6 and 8. 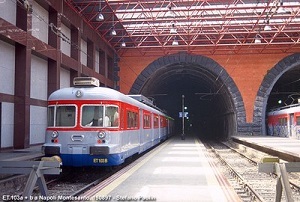 Ferrovia Circumflegrea opened in 1962 to cover 27 Km from Montesanto to Licola with a further extension under construction to Mondragone, the Naples North National Rail Station and the new Grazzanise airport. 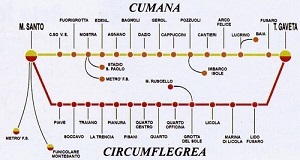 Cumana and Circumflegrea form a rail ring that covers 40 percent of metropolitan Naples and 60 percent of the local municipalities. 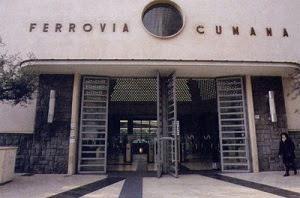 The Montesanto Station was refurbished in recent years to serve the Cumana, Circumflegrea, Metro Line 2 and the Montesanto Funicolare. The new steel and glass exterior retains its original liberty style architecture. The entire metro area can be reached via this station utilizing the Napolipass, GiraNapoli and Unico Campania fare systems.